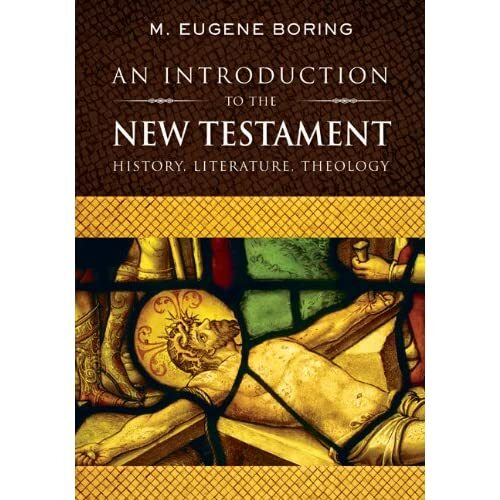 NT scholar M. Eugene Boring (Brite Divinity School) has written a NT Introduction (coming Oct 2012, WJK). He is well-known for work on the Gospel of Mark and Revelation. Apparently it will be a hefty volume (700+ pages). I am still on the lookout for a good introductory textbook so — fingers crossed! Next postLatest Neotestamentica (46.1, 2012) – lots of good stuff! Hi Nijay, Donald Hagner is coming out with a NT intro (800 + pages) from Baker Academic in Nov 2012. I cannot wait, but it may be too hefty for a classroom text. Are you not satisfied with Mark Allan Powell’s recent offering? We switched to his book last year and I really like it. When I taught graduate students I used to use Luke Johnson’s book, but that’s a bit too advanced for our undergraduates. I have not used Powell, and I was impressed while browsing through a copy. I will need to take another look at it. Thanks for the suggestion. I guess I am just looking for something VERY theological (like a NT equivalent to the great OT volume by Brueggemann, Birch, et al). I like LTJ as well, but it is way to hefty. My students need simple! We need a LTJ “lite”! Yeah, I would like an LTJ “lite” as well. One of the things I have always liked about that volume is summed up in its subtitle: “An Interpretation.” I like that he is providing an interpretive reading of the NT which is appropriately theological in its tone. Isn’t that a bit dated now? I really like David deSilva’s.